Flash files are used for do software or update mobile old firmware. The latest flash files of nokia c5-03 have been released by nokia developers. You can update your phones old firmware if it is corrupted. Some times your mobile working so slow with the reason of its firmware. If you mobile hanging or completely break you will need to flash your phone with its latest flash files. In the world their are many flashing tools or boxes which are using by flasher. You can use different tools for flashing. If you wish to flash nokia usb supporting devices without flashing box you can use phoenix service as a flashing tool. It allows you to flash nokia mobiles through usb data cable by phone's latest flash files. If you will wish to flash your phone by phoenix it is little difficult work for you instead of flashing box. 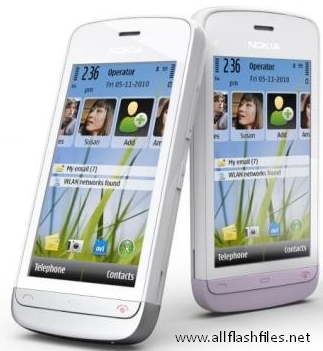 You can use navifirm plus for finding latest flash files of any nokia mobile from different sites on internet. Before flashing you will need to take backup of your important data like messages, contacts and images. After flashing you will lose your all of data and your mobile will restored in its original settings. Now you can download latest flash files of your mobile from below provided links.